I adore the airy sleeves on this sweater so much that I have it in two colors. And when I saw the floral embroidery on this skirt, I knew these two pieces were meant to be worn together. The hard part now will be wanting to wear this skirt with any other top. Gorgeous print on that skirt Lisa - and as usual just fab ! 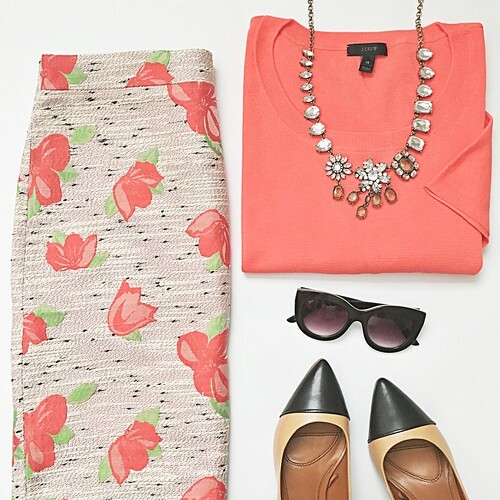 You look killer in that coral color - you should wear it more often! Thanks for visiting, please leave a comment if you like! (Spammers will be deleted - sorry).